Dipping Guidelines - Dipping and Pour-on options 3 months prior to Shearing. The role of Blood Proteins. Theories tested and Trials conducted. Feeding Ewes in Good Seasons - Is it Economical? Maize/Mealies - Feed whole or finely ground? PROTEIN what do the terms mean? Whats in a bag of feeds? When should we feed Angora ewes? 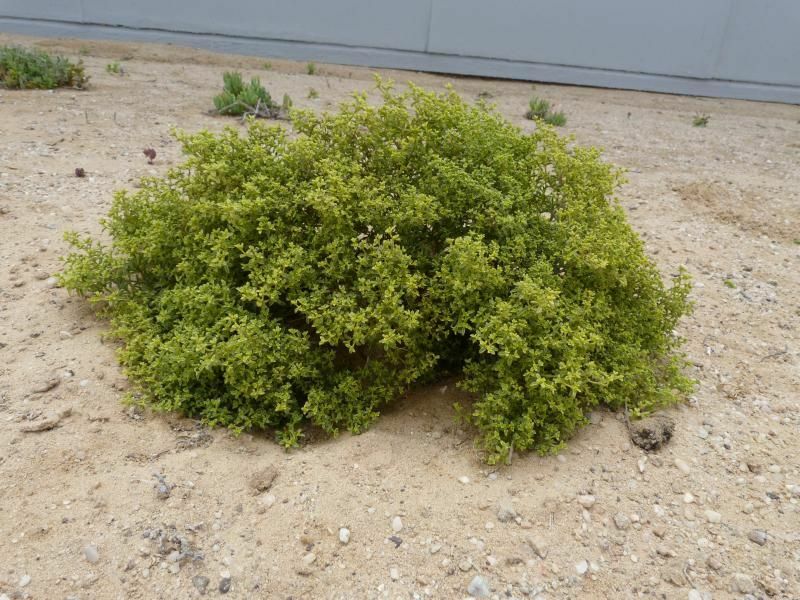 Caused by Galenia Africana (yellow bush, Kraalbos, Geelbos).The plant is a woody shrub growing about a meter high, with leaves that turn yellow with age. 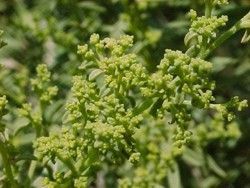 The plant is often found in disturbed areas around kraals, roads and old lands. The condition is usually only found in times of drought and when goats are in poor condition. Only a small % of the flock is affected. Clinical signs: The most notable clinical sign is the distension of the abdomen. Usually in the early course of poisoning the goats are bright and in the terminal stages the goats become recumbent and die. Severe ascites (fluid in the abdomen) which is a clear light yellow colour. The liver is always affected with colour varying from greyish-blue to yellowish brown. In chronic cases the liver is smaller and harder than normal. No gross cardiac signs are visible but microscopic changes do occur.